Most things have changed in George Clooney's life since he and wife Amal welcomed twins in July. But as he prepares to unveil his latest directorial effort, "Suburbicon," some rituals remain eerily familiar. 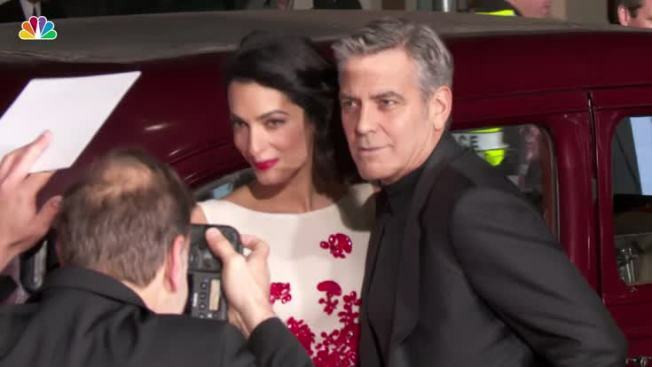 It's a new chapter for Clooney, but one with some old moves. "Suburbicon," which Paramount Pictures will release Oct. 27, marries two twin passions of his: farce ("Burn After Reading," ''O Brother Where Art Thou") and socially conscious filmmaking ("Good Night and Good Luck," ''Ides of March"). But despite the comic trailers, it leans a little more to the latter. Clooney believes the film, which peers into the dark racial tensions of 1950s suburbia, is deeply relevant to Donald Trump's America. It bristles, he hopes, with the spirit of Howard Beale, the truth-telling "Network" newsman who yelled, "I'm mad as hell and I'm not going to take it anymore." That makes "Suburbicon" potentially one of the more combustible films of the fall movie season. It boasts a starry cast (Matt Damon, Julianne Moore, Oscar Isaac) and comes from an unproduced, decades-old script by Joel and Ethan Coen about rampant suburban paranoia and fear-mongering after a home invasion. "Suburbicon" is Clooney's sixth film as director and first since 2014's "The Monuments Men." Filmmaking remains his focus, at least professionally speaking. "I'm in an interesting place in my life. I'm acting almost never — for a lot of reasons, mostly because I don't have any great interest in it and haven't read anything (good enough)," he says. "If somebody showed up with 'The Verdict,' I'd jump but it's not all that often you get 'Michael Clayton' kind of scripts. And if you're not going to get those, there's no real point at this point in my career."